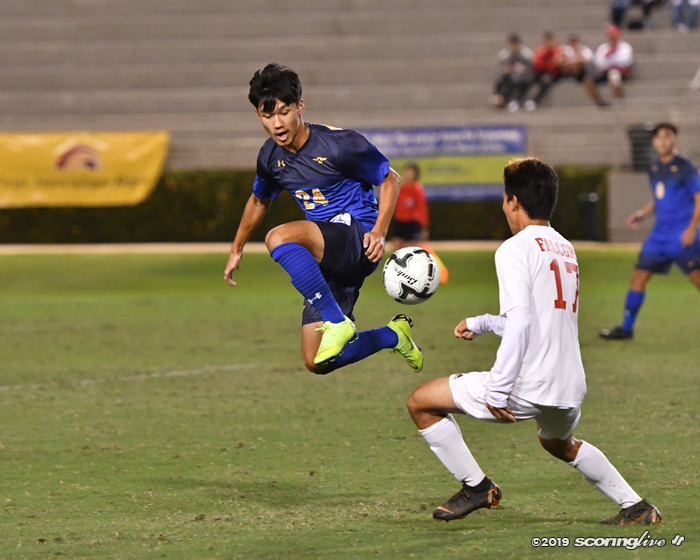 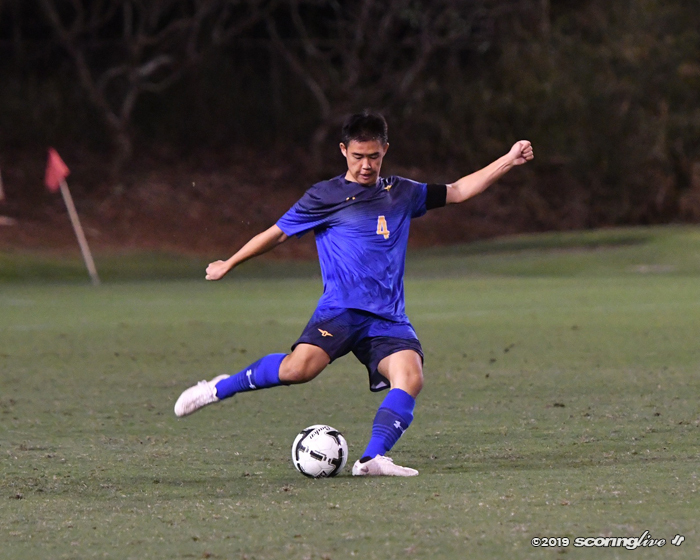 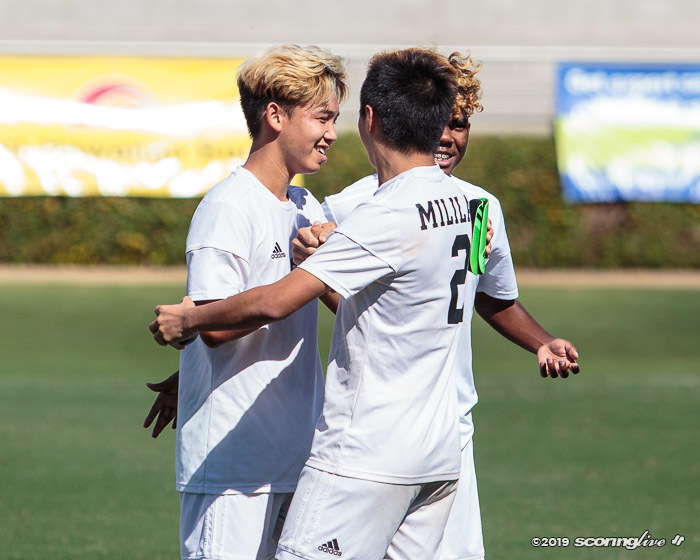 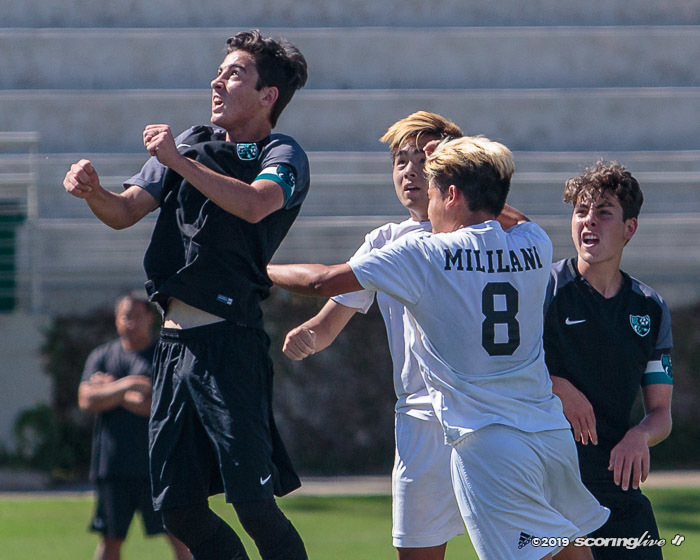 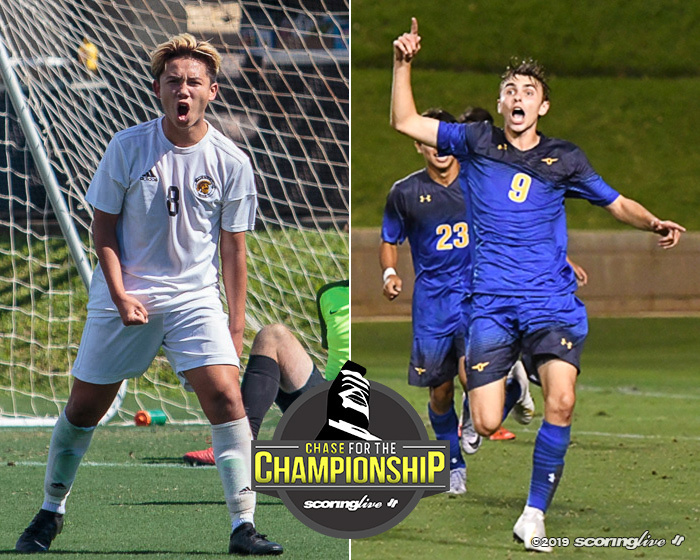 Mililani and Punahou raced out to 2-0 leads in their respective games as the Trojans defeated Kekaulike, 2-0, and the Buffanblu beat Kalani, 2-1, in Thursday's The Queen's Medical Center/HHSAA Division I Boys Soccer State Championships quarterfinal quadruple header at the Waipio Peninsula Soccer Complex Main Stadium. 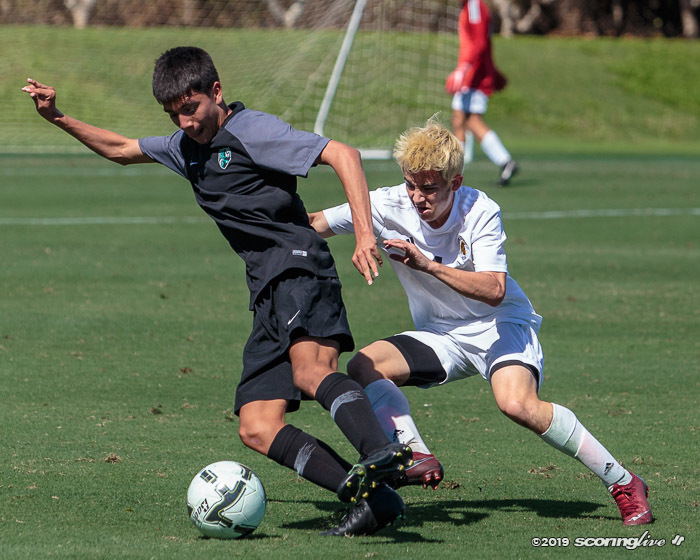 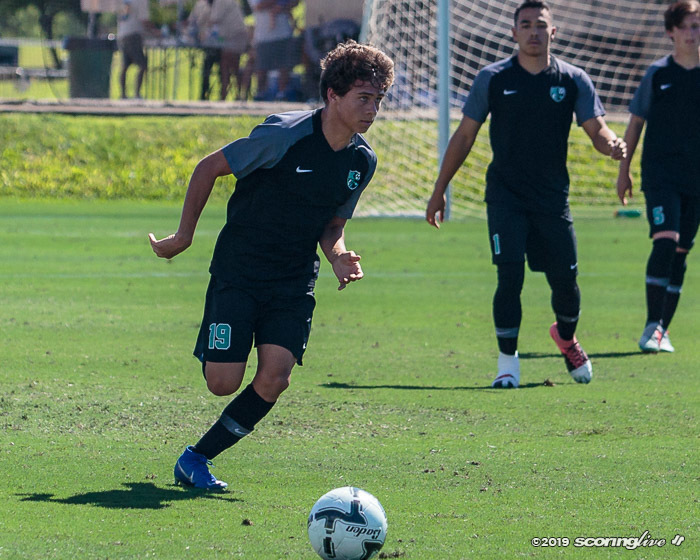 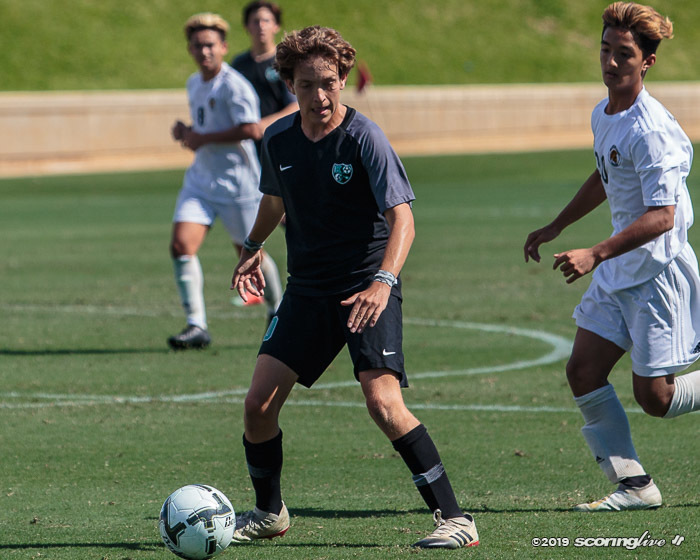 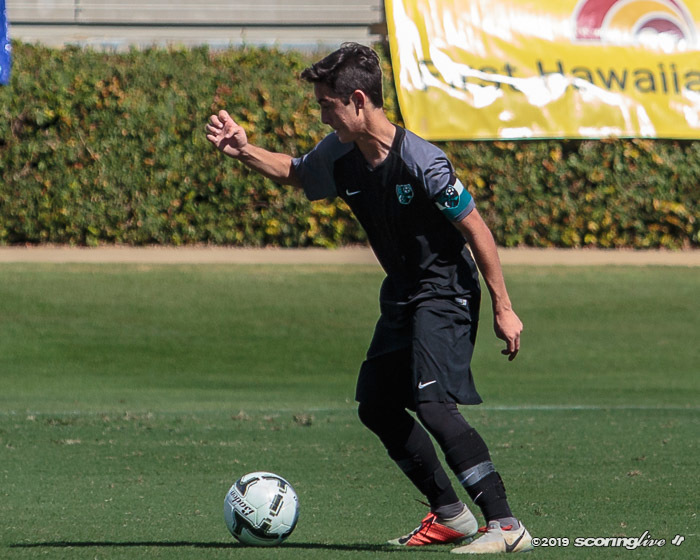 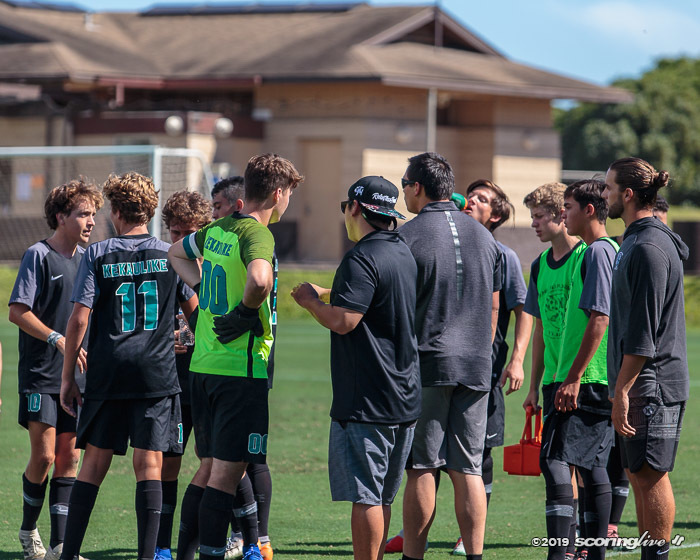 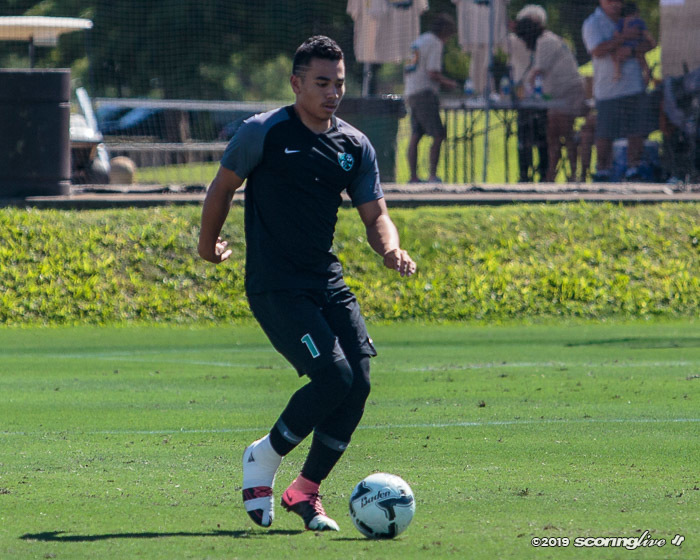 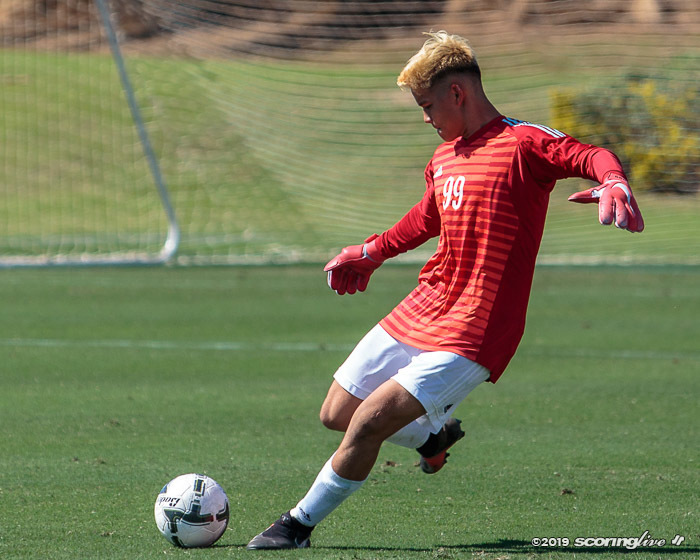 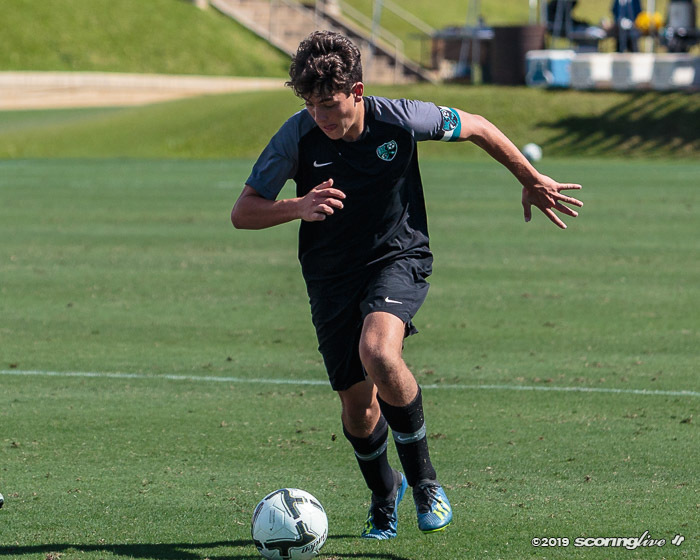 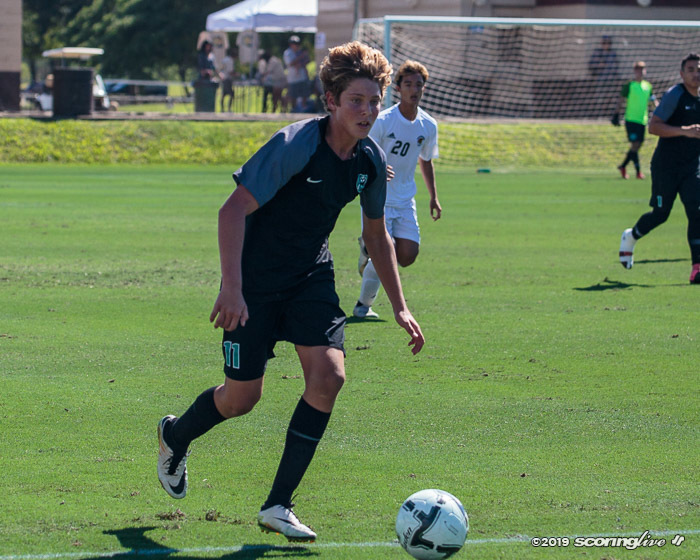 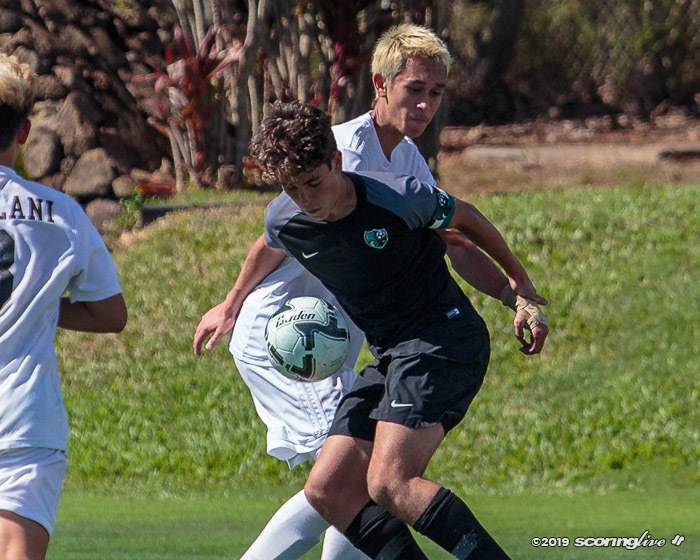 The Trojans started the day off on the hot, sunny grass field against the second-seeded Maui Interscholastic League champion. 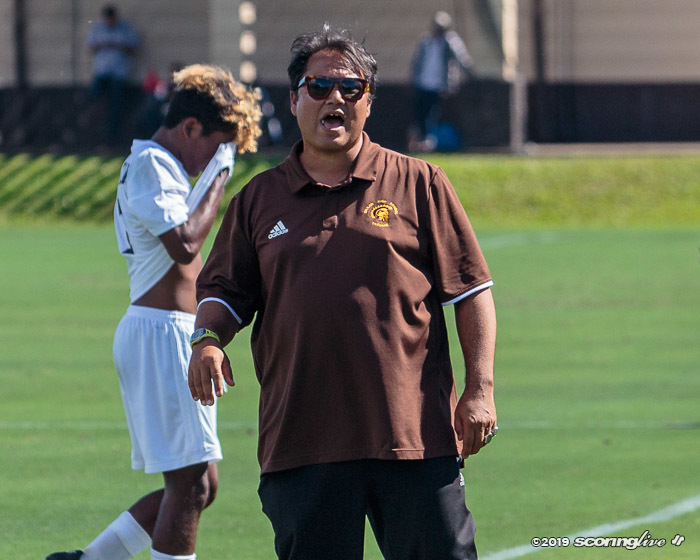 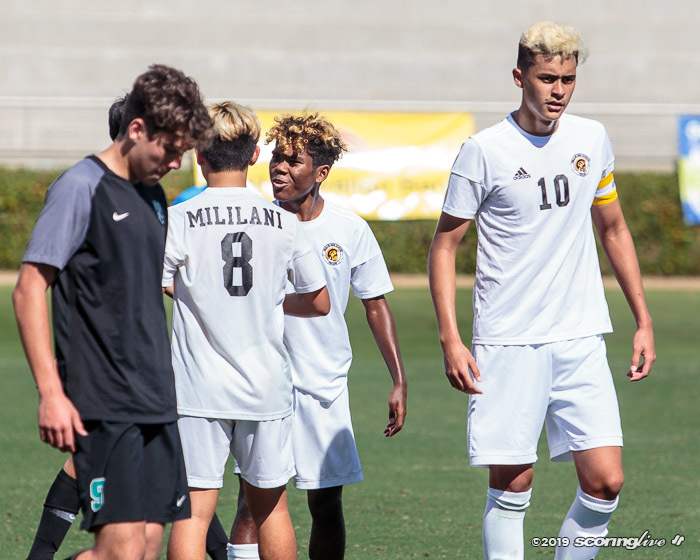 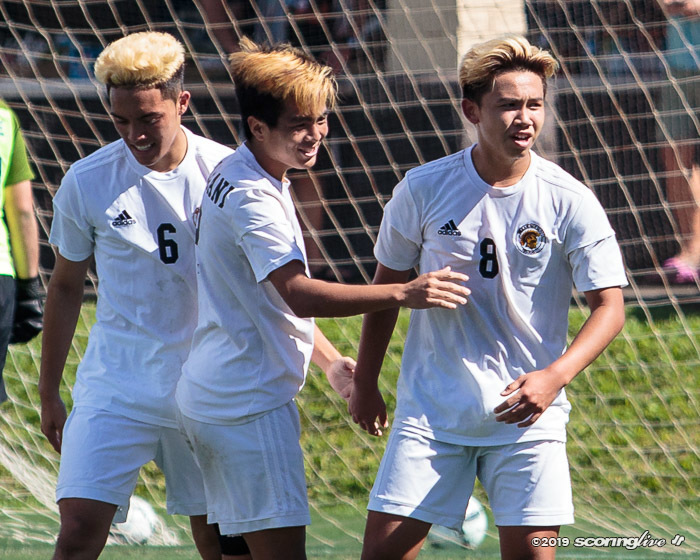 Mililani got on the board in the 34th minute after Jvon Cunningham was tripped inside the box with Liam McGehee nailing the ensuing penalty kick through the left side of the goal. 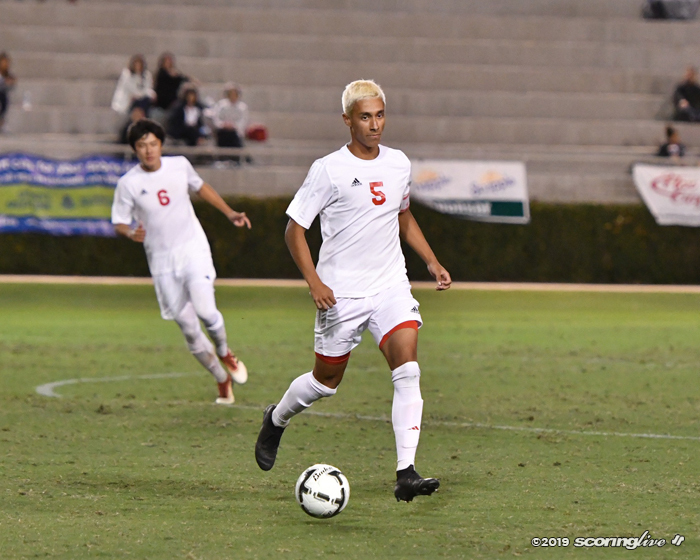 McGehee later broke away down the right side and laid a shot down the middle and in for a second goal in the 69th minute. 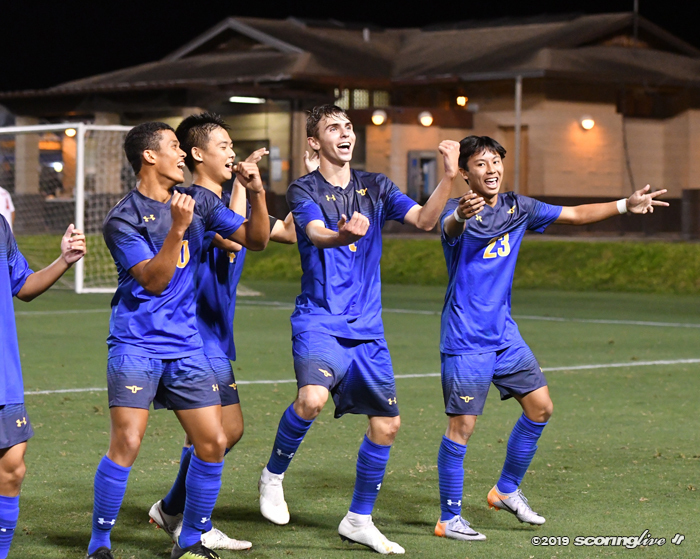 In contrast, the Buffanblu closed out the day with the final match on a cold, breezy night against Kalani. 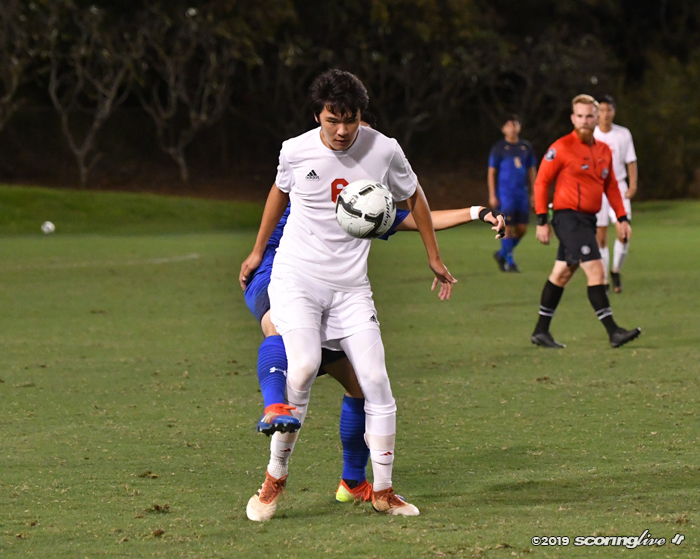 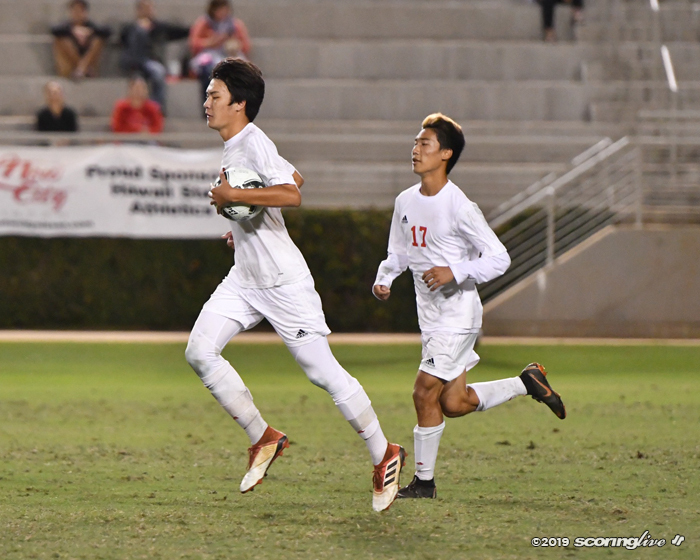 The match started later than the scheduled 7 p.m. kickoff after a 40-minute injury delay in the preceding game between Iolani and Hawaii Prep. 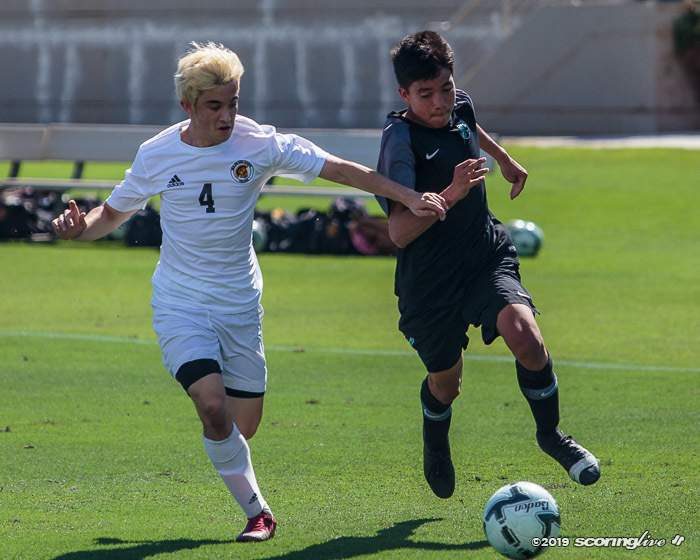 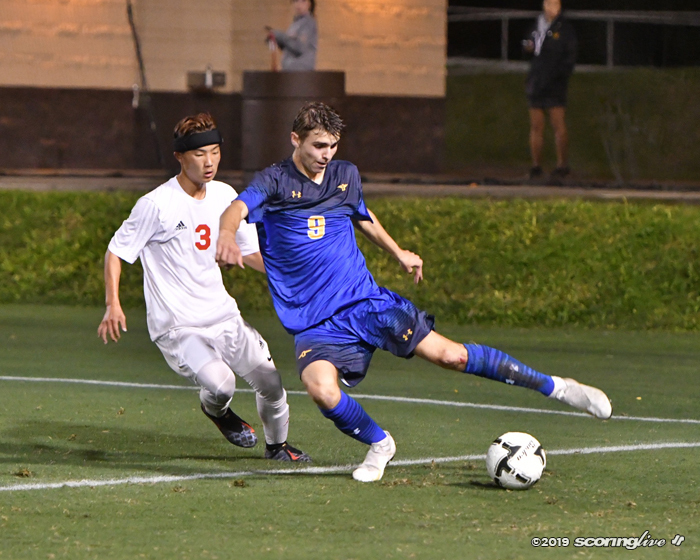 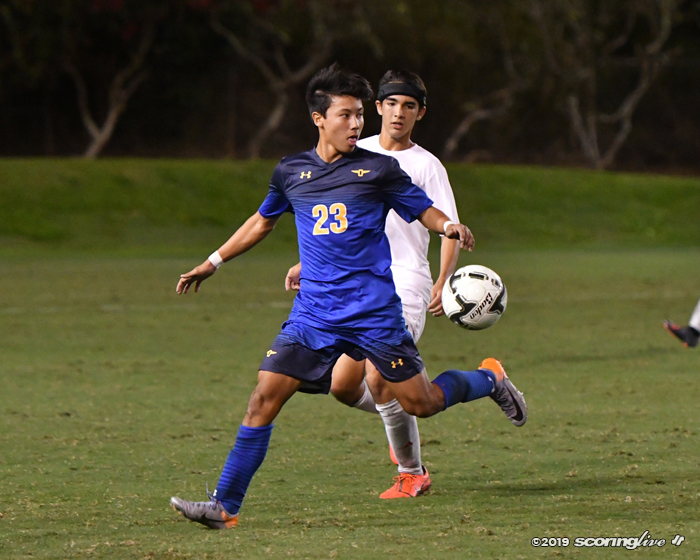 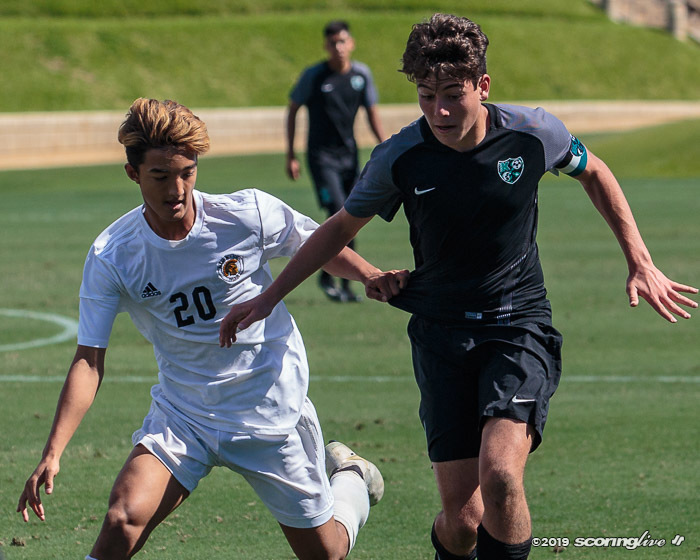 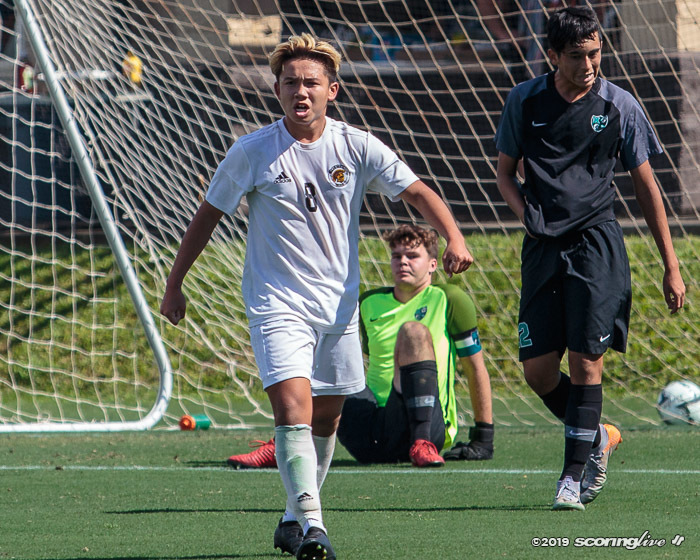 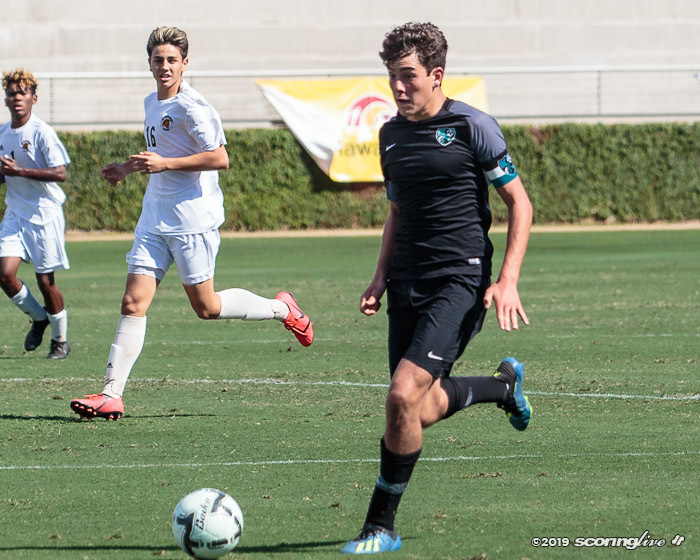 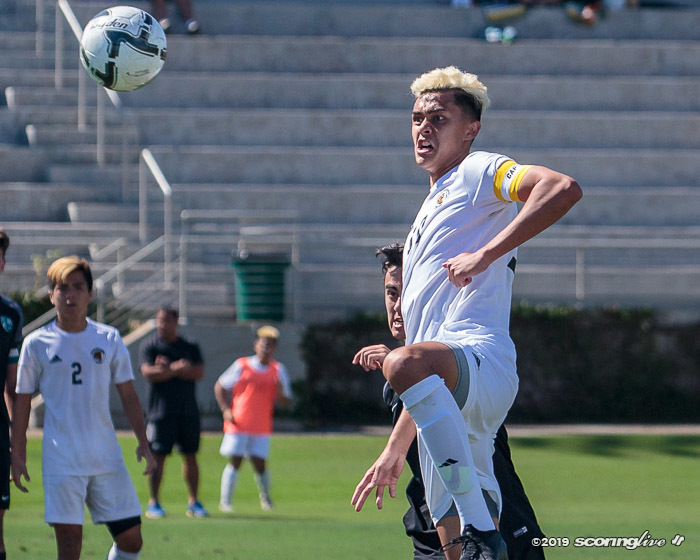 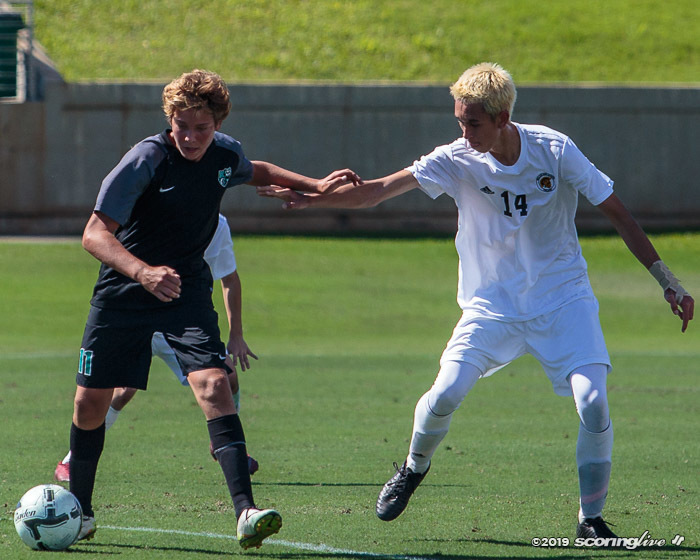 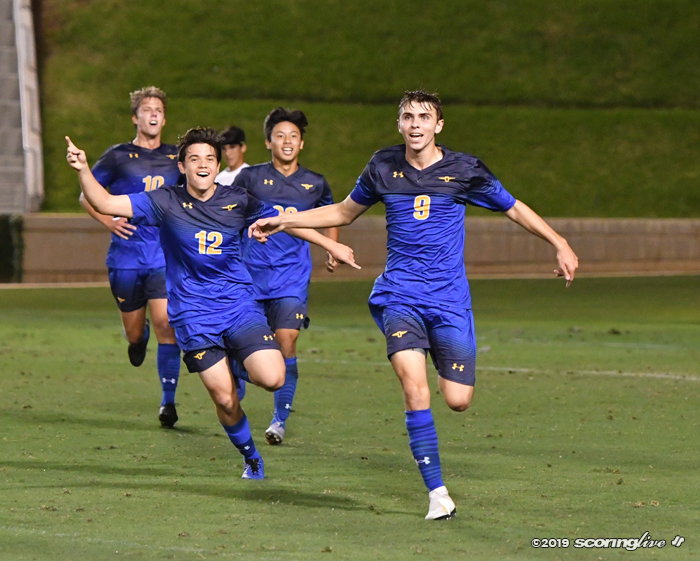 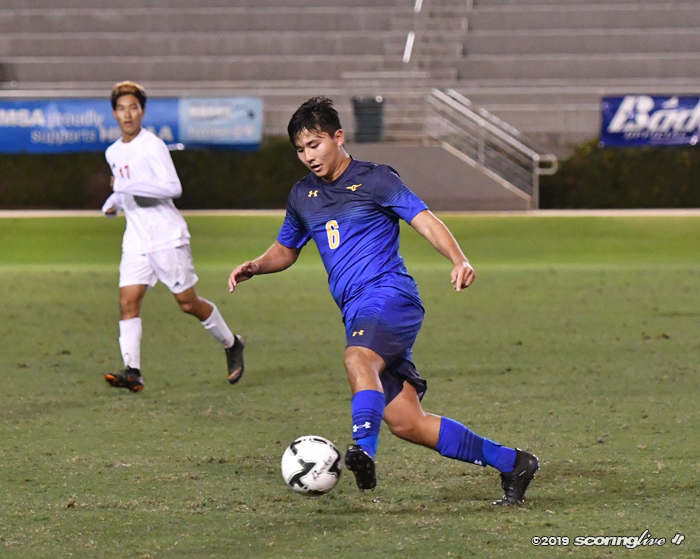 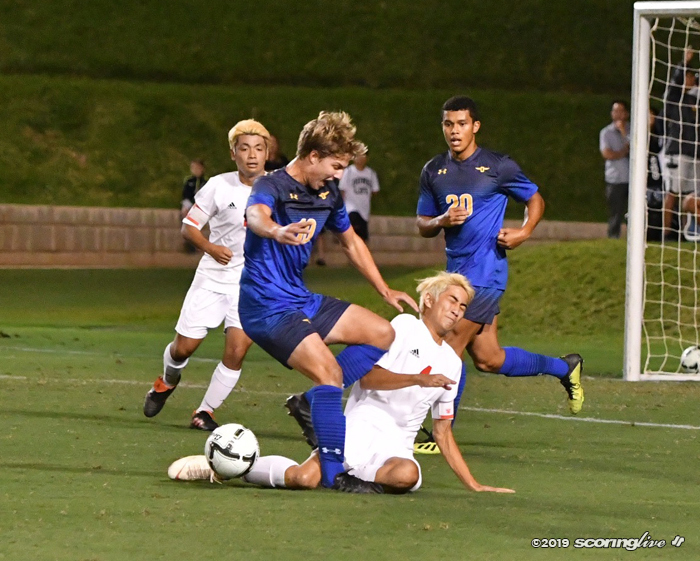 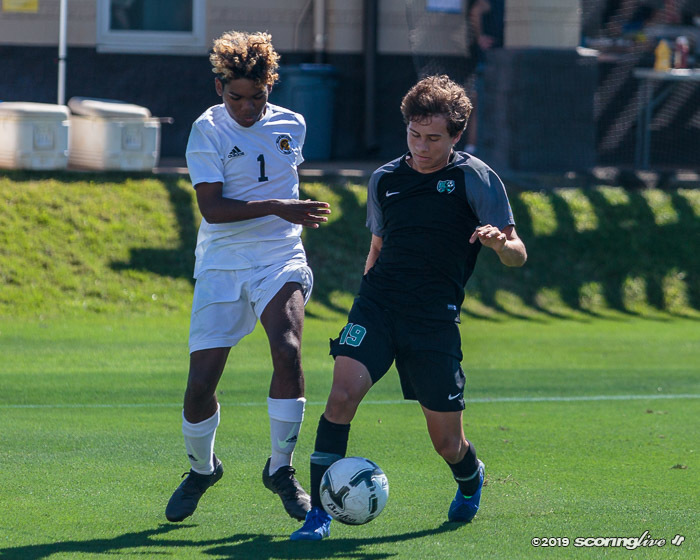 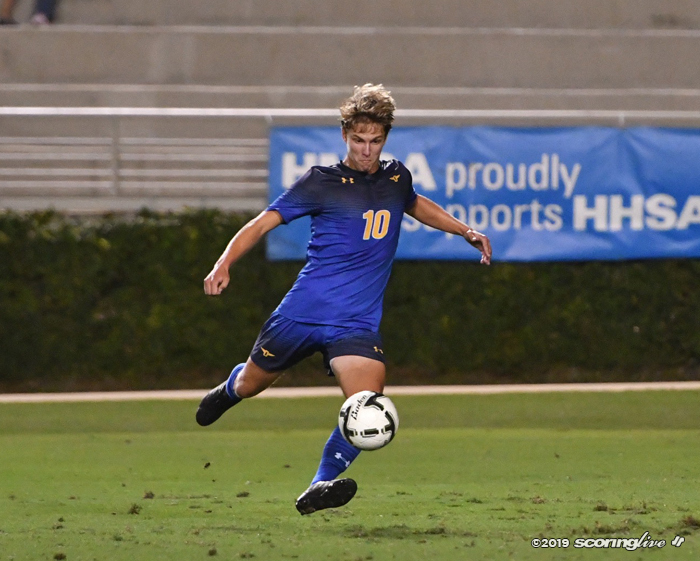 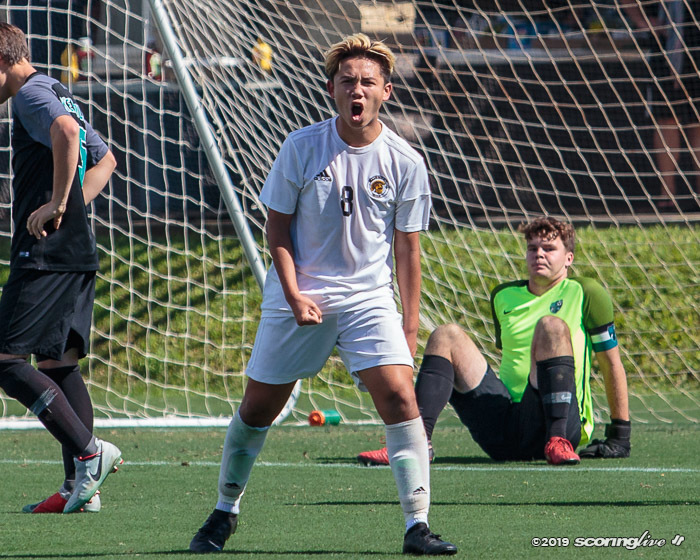 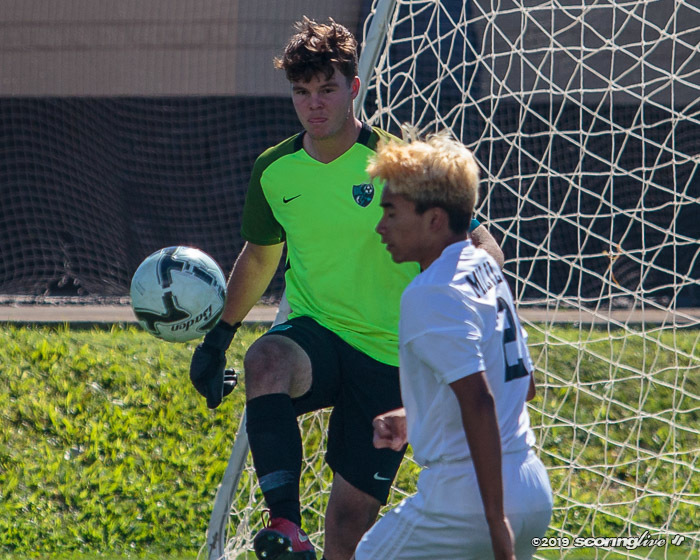 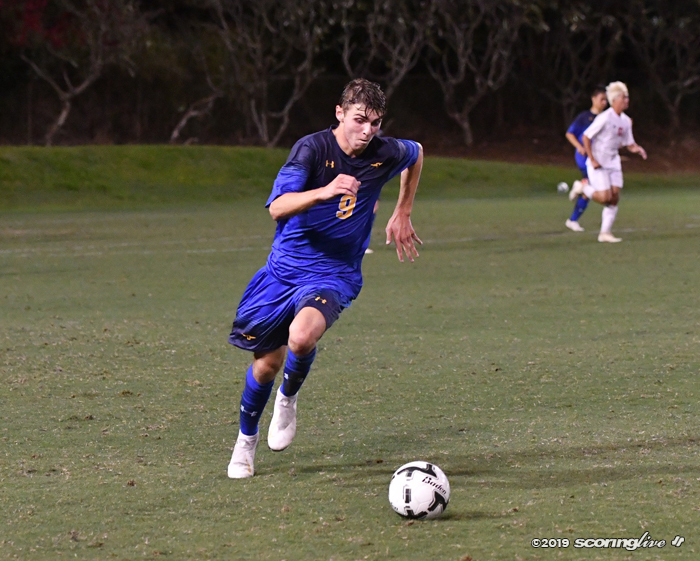 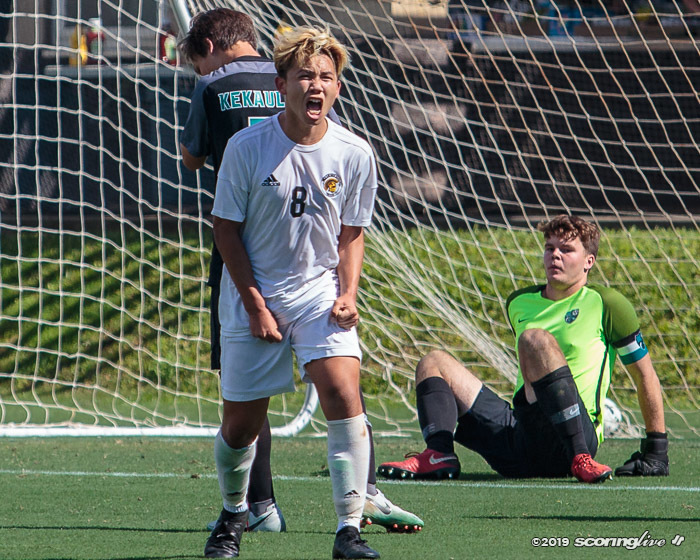 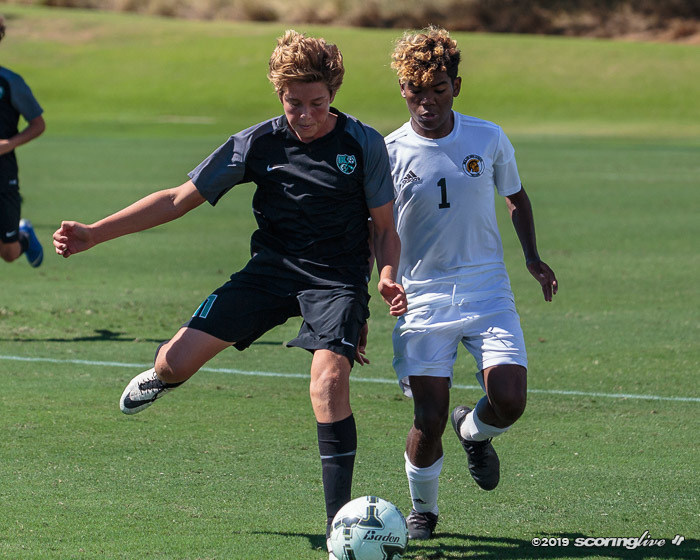 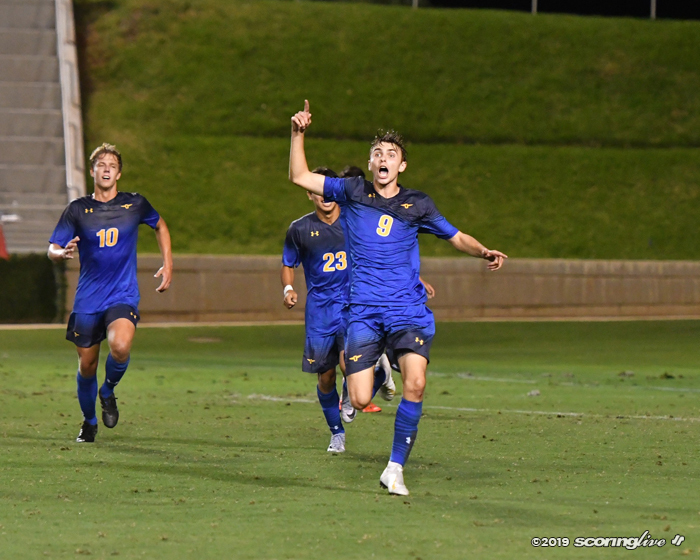 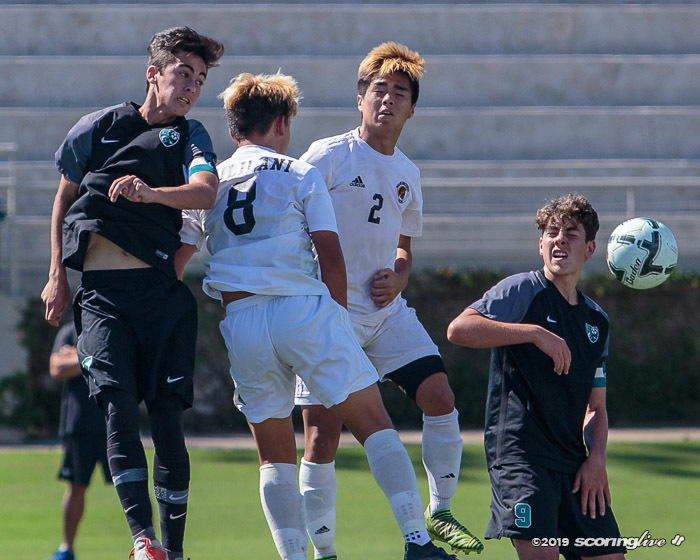 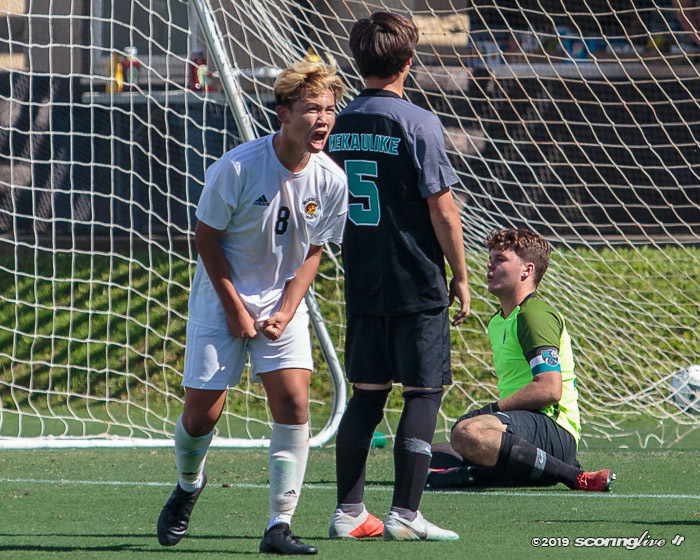 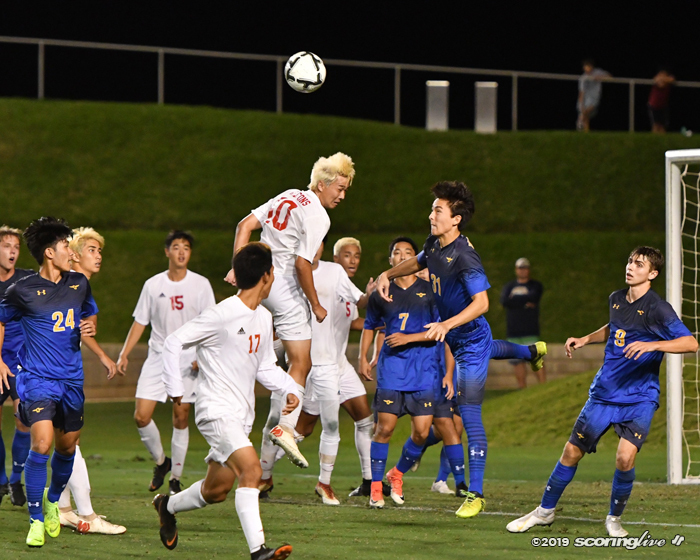 Punahou jumped on the scoreboard in the 31st minute off Liam Nichols-Shipley's goal and then piled on seven minutes later with Dominic Guzman finding the back of the net as well. 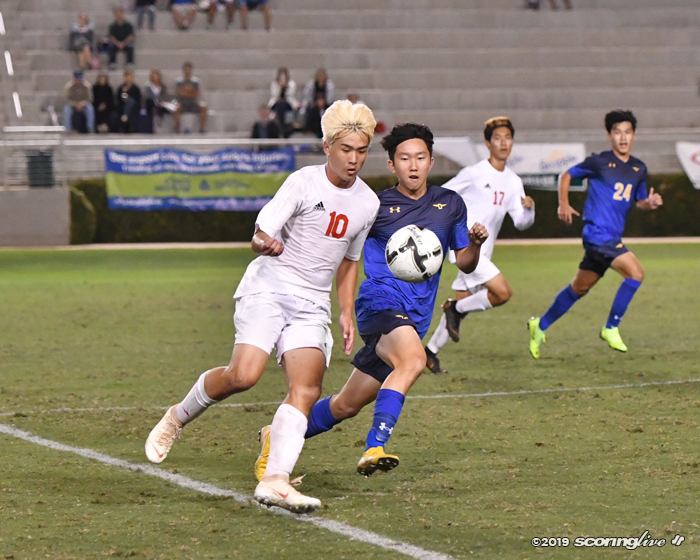 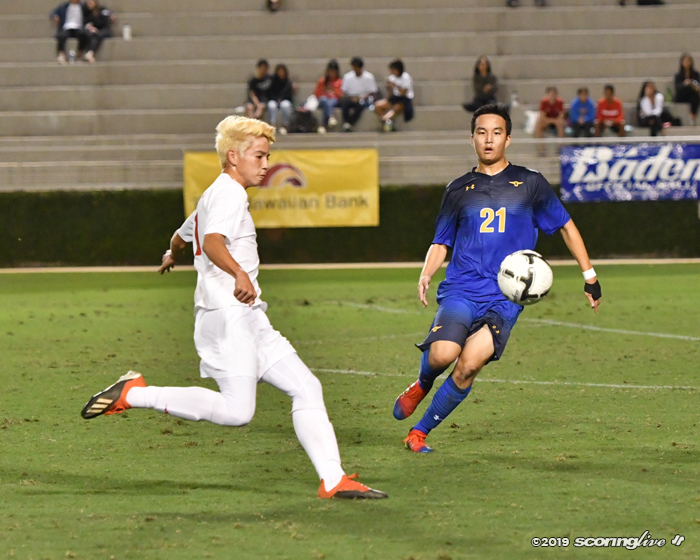 Falcons' leading scorer Brison Kim tried to rally back with a score in the 56th minute, but it wouldn't be enough. 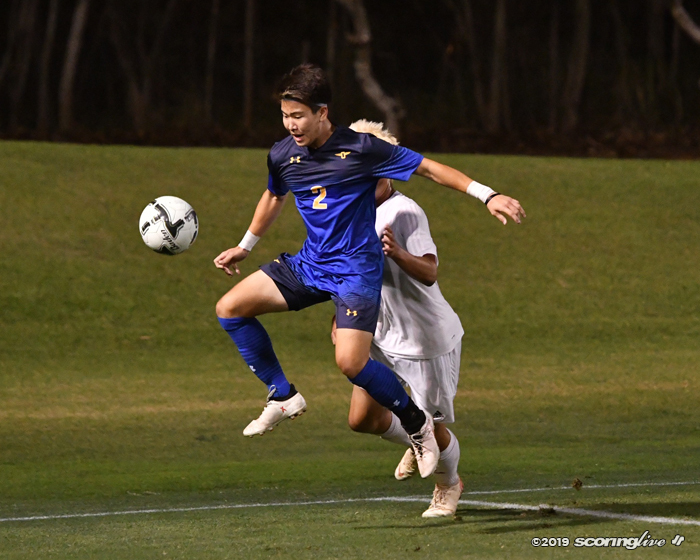 Kickoff between Mililani and Punahou is slated for 5 p.m. on Friday. 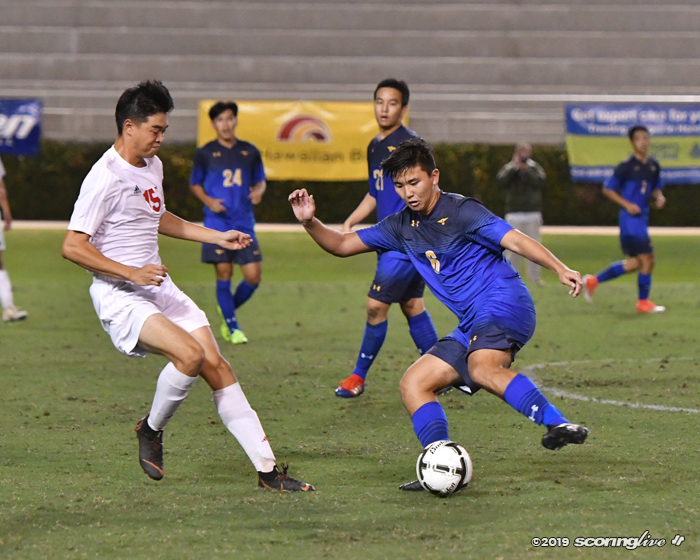 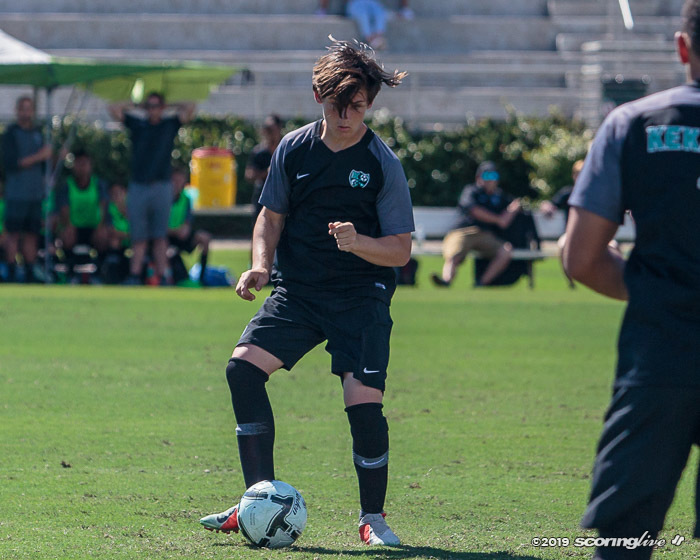 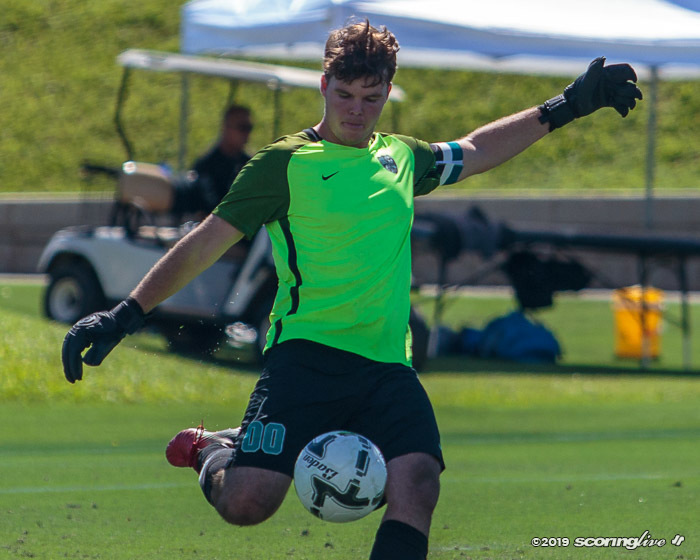 Both teams met up in last year's quarterfinals round with the Buffanblu blanking the Trojans, 3-0.